I was quite excited to have Indian style kathi kebabs (or Kathi Rolls) in central London, a few days ago. 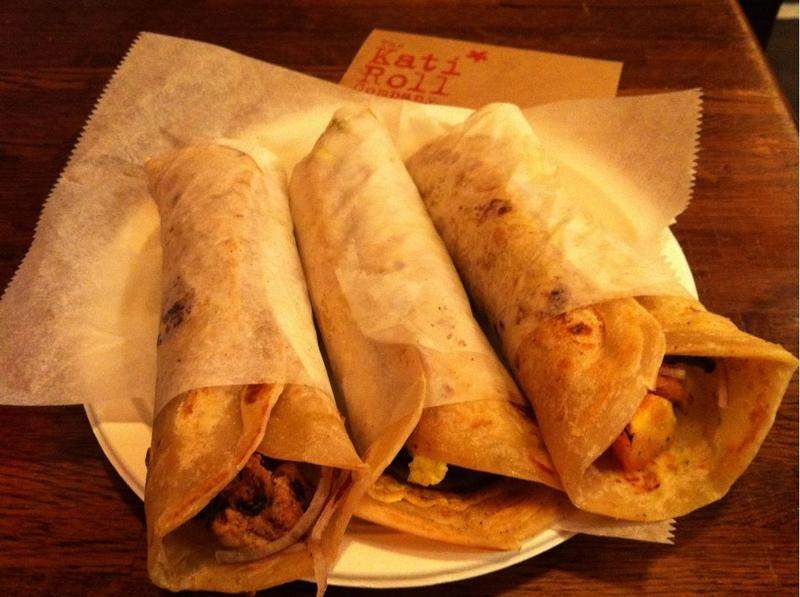 Kathi rolls are just like the regular middle eastern Kebabs but with and Indian touch. The bread is not a Khomez or pitta but an Indian bread and stuffed with spicy chicken or lamb or paneer or other available stuffing with spicy mint leaf chutney and other spices and onions etc. One can also request for anda rolls (anda = egg). Personally, I think that these rolls taste better with egg than with the stuffing itself. If you are quite far from it, you can always order food online, from somewhere else.